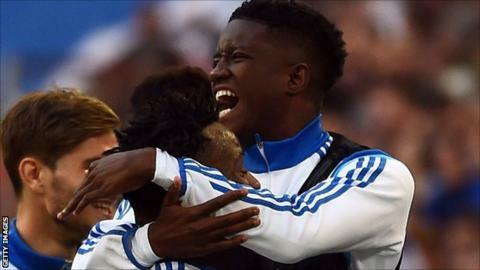 Swindon Town have signed former Olympique Marseille midfielder Momar Bangoura on a short-term deal. Bangoura made two appearances as a substitute for the first team during his time at the Stade Velodrome. However, the 21-year-old has been a free agent since leaving the French Ligue 1 side in the summer. Swindon are 14th in League One and travel to Blackpool this weekend, while Bangoura will wear squad number 12 at the County Ground.